What is Probate and How Does It Work In Central Florida? Home » D'Lugo and DeFlora » What is Probate and How Does It Work In Central Florida? Most people have a general understanding of what happens to inheritances when a loved one passes away. Usually people envision a rather simple process, but in reality it can be both challenging, and can be very time consuming. In fact, it’s highly likely that a portion, or all of the estate in question will pass through probate. Once the probate process is complete, individuals can be named beneficiaries and inheritances can be distributed as described in the Will. The real challenge people experience first is just trying to comprehend the probate process at all. It’s not simple and unless probate law is part of what you do for a living, it’s a very confusing and arduous process. Probate is simply a procedure through which assets are legally passed. For very large estates the probate process can be a complex procedure, but for most people, it is a very simple a formality. Typically it’s just a judge giving legal permission for assets to be passed on, whether or not there is a last will. If someone dies and leaves a will, then probate is required to implement the provisions of that will. 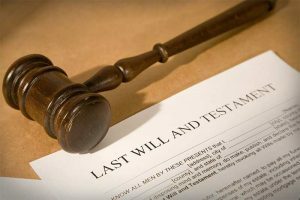 However, a probate process also can happen if a person dies without a will and has property that needs to be distributed under the state the law of inheritance. If the decedent owned an account that named a beneficiary (such as a retirement account) but the beneficiary has passed away before the owner of the account, probate law requires that account to go through the court so that the funds can be passed to the person legally entitled to them under state law. Some people don’t want to probate a will. There is no requirement that a will or property go through probate, but if the decedent owned property that is not arranged specifically to avoid probate, then there’s actually is no way for the beneficiaries to avoid it. However Florida law permits a family to own property in a decedent’s name if they continue to pay taxes and do not sell it. Not all states have this provision, but the Sunshine state does permit this. Getting through the probate process may likely take several court dates spread across several months, but the process itself can be comprehended if distilled to five main steps. The Will must be validated: This is simply a review to ensure that the will is valid. On occasion this can be the catalyst for a relative to contest the will, which will lead to probate litigation and will most certainly slow down the probate process. Inventory Collected: The is the gathering of all elements of the probate estate, including deeds to land, vehicles, bank accounts, business ownership rights, any internet-based heath and more. The executor of the will is charges with notifying relatives and creditors about the death. This can sometimes be challenging if those individuals live outside the United States. Debt Paying: If the decedent passes away and still has open debts to the government through taxes or other debts, the estate pays all debts or until the estate’s value is completely depleted. Distribution of Inheritance: After all debts are paid and all potential inheritors are identified, the remaining portion of the inheritance is distributed as described in the Will. Probate can be intimidating if you begin without awareness of the direction you need to go. Partnering with Dlugo and DeFlora can bring you the peace of mind you really need in order to get through the Probate process. 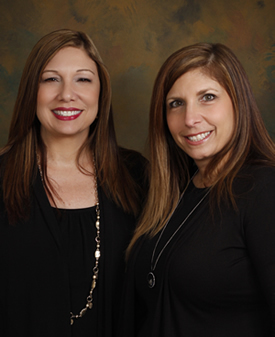 Call 407.870.5551 to request your FREE initial consultation with our team to learn more.